Biometric authentication has become increasingly popular since its re-introduction in smartphones in 2013. We have had fingerprint sensors, iris scanners, and 3D facial scanning modules. 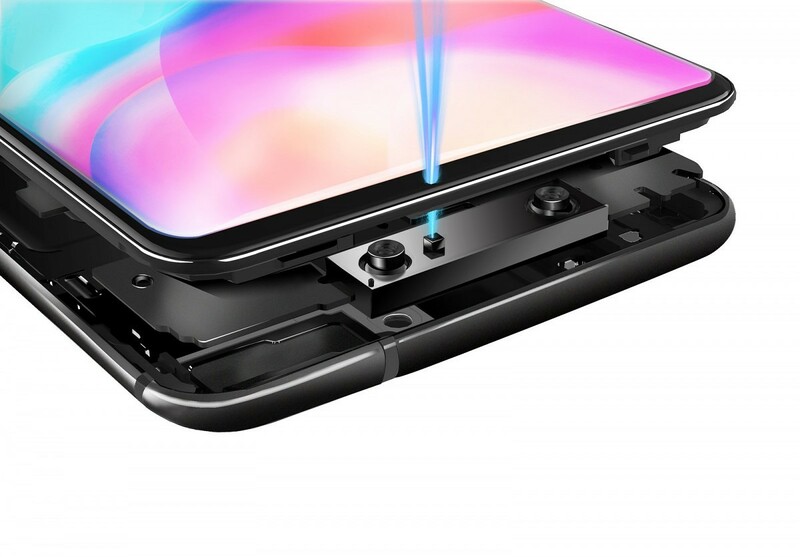 The Apple iPhone X uses 3D facial scanning in the form of Face ID, while Xiaomi and Oppo have adopted 3D facial scanners in the Xiaomi Mi 8 Explorer Edition and Oppo Find X. Vivo has been one of the first device makers to adopt in-display fingerprint sensors in the Vivo X20 UD, Vivo X21, and Vivo NEX S. At MWC Shanghai 2018, Vivo has now revealed its Time of Flight (TOF) 3D sensing technology. The new Time of Flight 3D sensing technology enables “new opportunities” in facial, gesture and motion recognition, 3D photography, and AR, that will expand the capabilities of future smart devices. It’s said to be a pioneer, and it detects the time it takes emitted pulse light to return to the sensor to accurately map objects at up to three meters in front of it. The TOF 3D sensing technology features “industry-leading” performance in depth of information captured with 300,000 sensor points, which is 10 times the number of existing structured light technology (this refers to Face ID in the iPhone X). This enables 3D mapping at up to three meters from the phone. It’s also simpler and smaller in structure, while allowing for more flexibility when embedded in a smartphone. The flexibility will allow a broader application of this technology, according to the company. The technology has applications beyond facial recognition. The precise and accurate tracking of gestures and movements of the user’s entire body means that the TOF 3D sensing tech creates new ways to interact with and experience the world. Vivo gives the examples of merging this technology with AR, as well as being able to track gestures for mixed reality (MR) games. If AI recognition is combined with TOF 3D sensing tech, it’s possible for users to even capture entire objects with 3D modelling. Users will then be able to rescan and recreate objects digitally, and the applications of such technology can be in the fields of education and medicine.